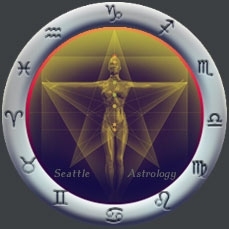 Seattle Astrology is excited to announce the official publication of the Lunar Cosmic Journal. This is a bi-Monthly publication that has drawn much attention on the West Coast and around the world. This Journal comes highly recommended and is distributed as far away as Australia and Germany. Once the goal of 5,000 subscribers is reached, the annual subscription rate will be $14.95. The first 5,000 subscribers are guaranteed a lifetime subscription to the Lunar Cosmic Journal compliments of Steven Shroyer and Seattle Astrology USA. What does the term Esoteric Mean? The term "Esoteric" refers to a hidden body of knowledge that traditionally has been reserved for mystics, sages, and spiritual teachers. The word "Esoteric" was popularized by H. P. Blavatsky's book, "The Secret Doctrine" published in 1888. Based in theosophical thinking, it supports a holistic cosmological approach to the larger cosmic cycles and is therefore appropriate for a new era in astrological thinking. A newer and more modern use of the term "Esoteric" is now beginning to surface. The term, esoteric, refers to a deeper or hidden meaning behind what we considered as natural phenomena, cultural symbols, and archetypes in our every day world. An esoteric perspective attempts to move beyond the more commonly held meaning and to access the hidden or universal principles which lie hidden beneath. Esoteric thinking, when related to astrology, represents a deeper understanding of the solar system and the hidden meaning of the planets as universal principles of energy. The terms, "deeper and hidden" are in reference to the idea of going beyond the most superficial, dogmatic, and basic or current cultural references of society. It often asks why, and to what outcome, and to what and how is the larger cosmic process of something related? The answer to these questions is the esoteric foundation of life and esoteric astrology. The spectacular Lunar Eclipse on the 2009 Winter Solstice was also combined with a once in a lifetime conjunction of Jupiter and Uranus. This special conjunction released the idea that that it is now time for all hidden knowledge to be opened up for everyone to access and to benefit. Since Dec 2009, the age of esoteric astrology and esoteric thinking is active in our planetary consciousness. We have entered an age where it is now possible for everyone to find the hidden harmony of their life's path. And this is the goal of the Seattle Astrology and the Lunar Esoteric Journal. There is something in the Lunar Esoteric Journal for everyone. It is an excellent resource for anyone interested in Lunar Astrology and psychic awareness. There is no need to know or understand astrology to follow the Journal. Each New MOON and Full MOON the Journal take an in depth look in the hidden awareness of the Moon's impact in your life. The Journal has an emphasis on astrological activity that directly impacts your life and psychic awareness. It covers all the major Lunar and MOON special alignments (including lunar eclipse), as well as an in depth look at how Lunar activities shape and activate your psychic and intuitive abilities. Whether you are an astrology novice or a working astrology professional, you will find this subscription a valuable resource. This special offer won't last indefinitely. Be sure to tell your friends.